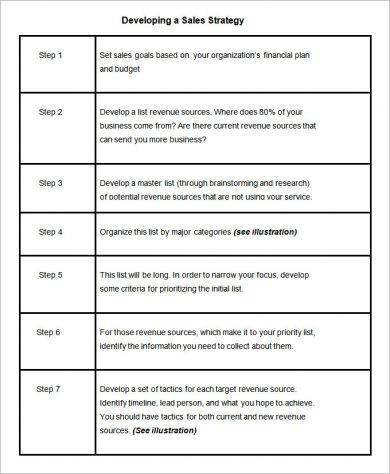 A sales plan is vital for any company that relies on sales for their revenue. Without an effective sales plan, companies would never meet their sales goals, and eventually their financial goals. Business organizations that don’t allow their sales departments or sales teams to formulate sales plans will risk losing easily to competitors. 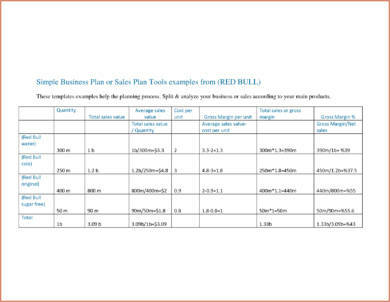 To help you create your own daily sales plan, we have provided daily sales plan examples for your reference. 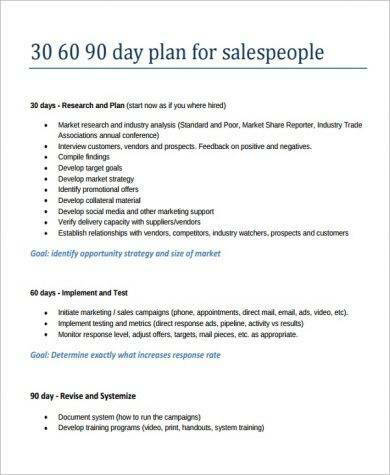 We also included some some tips on how to write a daily sales plan for your company or business organization. Listed below are the essential components of a daily sales plan. Make sure to incorporate all of them so that you can maximize the earning potential of your sales activities. 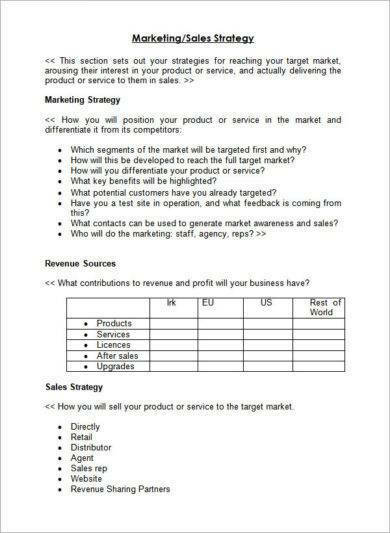 Defining your sales targets will be the basis of your sales plan. The sales targets are basically your goals or the things you want to achieve in your sales plan. There is only one rule in setting sales targets: they should be achievable. Setting unrealistic sales targets will result not only in financial losses for the company but also cause motivation problems for employees. You may also see weekly plan examples. You may ask yourself how to set sales targets without making them difficult for your sales people. You first need to check the professional goals set by the top executives of the organization. Most of the time, their decision is non-negotiable and the goals they set should be the aim of all individuals working in the firm. The next factor you need to consider is the capacity of your coworkers or members of the sales team. If you see that they are not up to the task of meeting the goals set by management, then unfortunately they need to be replaced with more competent and motivated individuals. 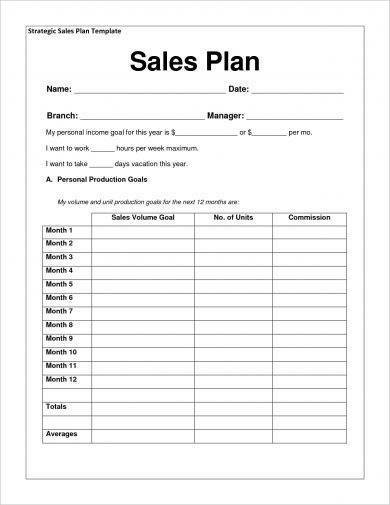 You may also like work plan examples. After setting your sales targets, you should then set strategies so that you can meet your sales targets. There are numerous sales strategies you can use to close a sale faster or motivate your sales people better. Among the strategies include knowing the competition, creating a sense of urgency, overcoming objections, and keeping it real. Knowing the competition is an obvious strategy that should be implemented without any hesitation. This is not to say that you will be using the same sales strategies used by competitors, or switch your product line just to fit the competitor’s products. 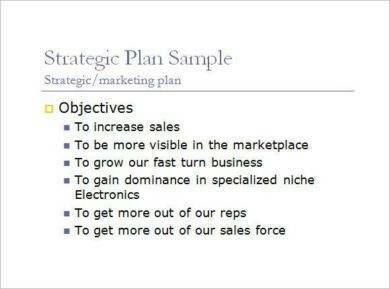 You may also see quality plan examples. Knowing the competition is very helpful so that you can better prepare and differentiate yourself from the competition. It is very risky to use strategies deployed by your competitors, as there is no guarantee that potential customers will choose your product. Creating a sense of urgency and overcoming objections go hand in hand in closing a sale efficiently. As a sales person, you don’t want the potential client to second-guess in buying your product. You need to create a sense of urgency to make sure that customer buy your product, not next week, not next month, not next year, but as soon as possible. You may also check out event plan examples. Delaying a sale will only cause long-term issues for you and your company, as you cannot move on to another client if you have not previously closed the sale of the previous client. Additionally, creating a sense of urgency should not be about forcing the customer to purchase immediately. One rule of thumb when it comes to a sales pitch is to give space to customers and give them time to think about purchasing your product. There are numerous factors that prohibit customers from immediately making a purchase, of which mostly relate to financial issues. 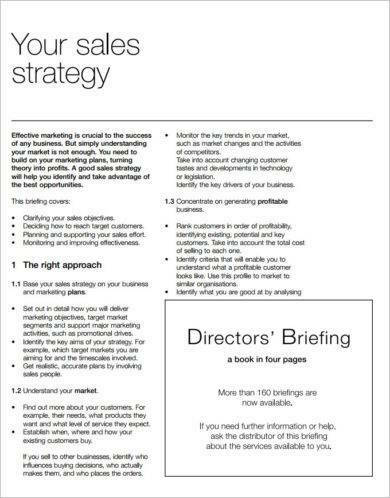 You might be interested in action plan examples. Overcoming objections is another sales strategy that you should implement in your own sales plan. Similar to knowing the competition, overcoming objections is a strategy that assists you better in preparing for “sudden shocks” that will definitely come in your way during a sales pitch. Have an outline of anticipated problems and risk analysis (also called a landline map) so that you can reduce resistance from your potential customers or clients. It is highly suggested that you sit down with your entire sales team so that each person will come up with suggestions in the items to be listed down in landline map. If the team agrees, then research can commerce so that better analysis will be made when the actual sales pitch will be underway. Having a simple budget for your sales plan helps you keep control of your resources and stay on track in your sales efforts. Aside from helping you maintain control of your resources, planning a budget also lets you focus on your sales plan rather than make decisions based on results from outside forces. To create an effective sales budget, you need to make some assumptions about the future. If you have been in the industry for quite a while now, you can base your forecasts from revenue performances in previous months or years. Most of the time, it is much more practical to underestimate your income when creating a budget. At the end of the year, it will be easier to deal with unexpected windfalls than with shortages. Your main reason after all in creating a budget is to ensure that you make a profit rather than spend more on doing research and development. You may also like transition plan examples. 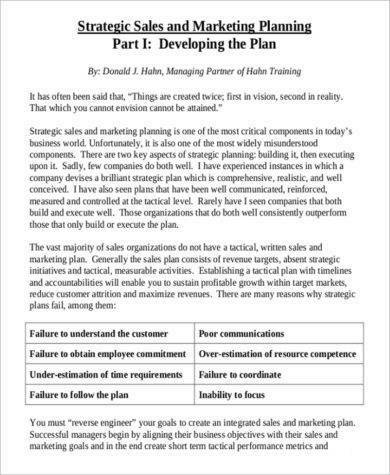 Creating a daily sales plan is not difficult. You just need to do research and incorporate the correct details so that you can maximize the earning potential of you and your sales team. 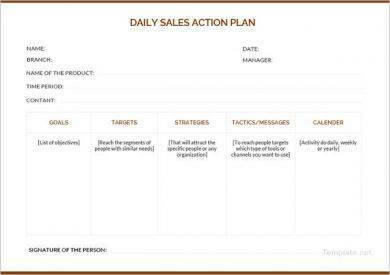 An effective daily sales plan comprises of the following elements: sales targets, sales strategies, and budget. Sales targets are basically the goals you want to achieve in your sales plan and defining your sales targets will be the basis of your entire sales plan. To meet sales targets, you need strategies to achieve those targets. Some of the strategies you can use include knowing the competition, creating a sense of urgency, overcoming objections, and keeping it real. Meanwhile, having a budget for your sales plan helps you keep control of your resources and stay on track in your sales efforts. Aside from helping you maintain control of your resources, planning a budget also lets you focus on your sales plan rather than make decisions based on results from outside forces. 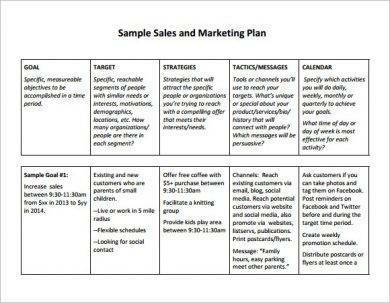 We hope you found this article to be informative as well as beneficial when you will be creating your own daily sales plan. We also included some examples in PDF format for your reference.